How do you communicate the impact of design to the public and better understand the people whom you’re reaching (or not reaching)? 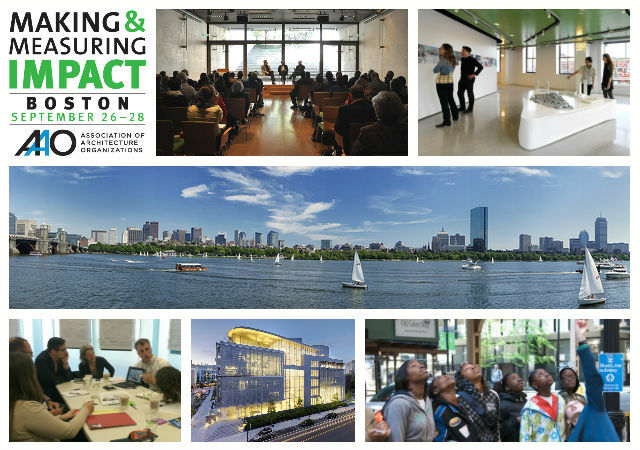 This year’s AAO conference investigates impact: what it is, how to make it, and how to measure it. We will have a no-nonsense conversation about the shifting role of architecture and design organizations and making the most of your programming. Making and Measuring IMPACT presents real-world examples to help you hone and quantify your organization’s reach. Thank you to all who attended the 2013 AAO Conference, and a very special thanks to our local hosts, volunteers, and event sponsors. More than 125 delegates joined us at this year’s meeting in Boston, plus an additional 170 local guests for our public programs held in conjunction with BSA Space. People came from 32 U.S. Cities and from 5 countries to take advantage of this unique networking opportunity within our growing field. We certainly hope you left Boston with some new memories, new colleagues, and new perspectives about your work. I think consensus had it that this year’s roster of keynotes – architect Craig Dykers, museum director Maxwell Anderson, evaluation expert Stephanie Evergreen, and architecture center veteran Kent Martinussen – was one of our strongest yet, with each bringing a distinct energy and message that contributed to our chosen theme of Making & Measuring IMPACT. When we first started considering the topic of evaluation, there was some concern the subject matter might need a boost on the excitement front. It took a string of exploratory discussions with prospective speakers, but eventually we hit on a rather simple observation: whenever we reported back to our conference committee about a given speaker’s story and project, if we just replaced “evaluation” with “audience” insights, then everyone’s curiosity was piqued. It seemed a helpful note to us in putting together the eventual schedule of speakers, and so thought it might resonate with our members, too. There were some high moments throughout the conference, but for my money the most critical exchange took place during the question and answer period after the second day’s morning workshop. When asked about budget set asides for evaluation, Stephanie Evergreen remarked that 10% of program budgets should be dedicated to the purpose. How many of us do this? And even now, against our better judgment, how many of us will continue not to do this? Can we really risk being so incurious about the audiences we serve? If we’ve done our job presenting this year’s conference, we should at least all admit we’re now on notice. When it comes to evaluating our organizations’ impact – whether that means using a stack of ipads or a stack of post-it notes – we can all stand to do a little better. To all the 2013 Conference delegates and presenters, please know how much we admire and appreciate the time and resources you committed to be able to join us for this year’s discussion. We look forward to seeing you all next year at the 2014 AAO Conference. 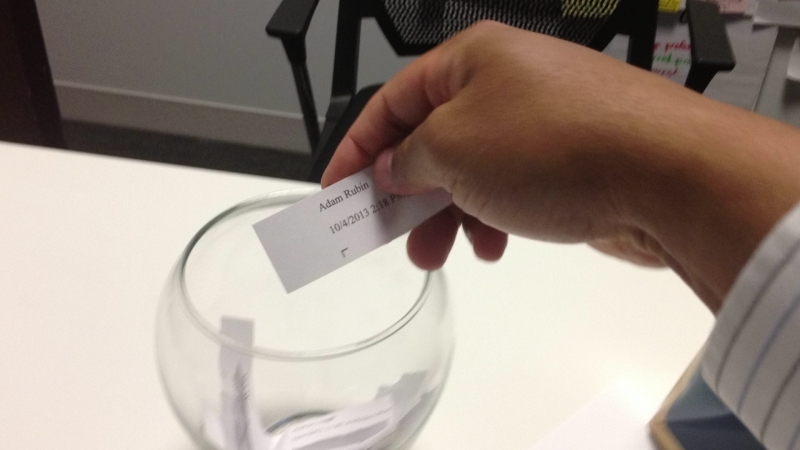 Congratulations to Adam Rubin for winning the drawing! We appreciated everyone's survey responses. A more than deserving recipient, if you'd like to see some of the good work Adam and his colleagues are up to, please take a peek at Landmark West! 's My Preservation Journal.